Note: I wrote this letter to Craig Taubman at Pico Union Project hoping to get a response on my concerns about his invitation to Tibetan lamas to build a sand mandala during the High Holy Days. I also expressed my objections to the questionable interfaith model he is building and desires to see reproduced across the nation. My name is James Stephens. I came across your website recently and was quite interested in your efforts to restore Sinai Synagogue, the historic site of Los Angeles’ first Synagogue. At the same time, I was quite dismayed to hear that you had invited Tibetan Buddhist lamas to build a sand mandala in the midst of the High Holy Days. Why might you ask? 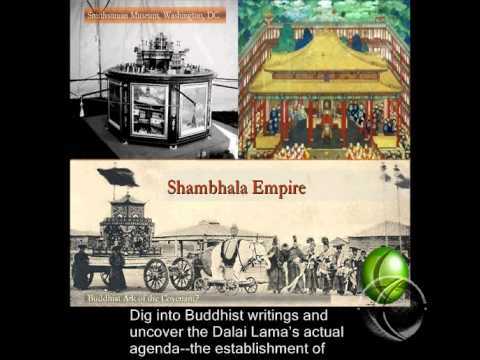 As a former devout Buddhist of fourteen years and now a follower of Yeshua Ha’Moshiach and a Torah observant believer, I found myself grieved knowing much about the intent of the lama’s ritual having thoroughly studied it for over 25 years. First of all, I do believe in the command to love one’s neighbor as thyself. To genuinely love one’s neighbor, one must be truthful. You have children. You know that they venture into areas which can cause them great harm. We tell them, “Don’t touch the oven. You’ll get burned. It’s hot.” As they grow older, they make their own decisions and often reap the blessings or pay the consequences for their poor choices. Personally, I know little about your life story except that which I gleaned after visiting your site. I did read that you like to hear others stories. As a former Buddhist and graduate of a Buddhist institution, married to a Messianic Jewish wife whose father was a holocaust survivor, I clearly recognize the barriers that exist between human beings because of their ethnic and religious make-up. I also recognize that it takes courage and time to get to know one’s neighbor, neighbors that often come from very different backgrounds. In 1993, I attended the World Parliament of Religions in Chicago in order to get a face to face perspective on other’s beliefs and a sense of who they were, what their story was. For ten days, I intently listened and asked questions about their beliefs. While talking with a Burmese Buddhist monk, we quickly cleared the air about the use of politically correct religious speech and agreed that it was often harmful to genuine understanding. We agreed that Buddhism and Christianity both held to exclusive religious points of view and were diametrically opposed to one another. With clear boundaries established, we could respect one another and talk about our fundamental issues as human beings. One Buddhist monk at Wat Thai Temple in North Hollywood invited me inside the temple and asked me to “tell him the story of creation.” He even asked me to read the Scriptures to him in between his interaction with worshippers in his context. “Good fences make good neighbors.” Old proverbs are the currency of years of experience. When the young King Rehoboam went his own way, neglecting the counsel of his elders and just listening to those in his new inner circle, he went astray. He did not finish well. One quote of Rabbi David Wolpe resonated with me when I read Ellul’s Jewels, “Our darkness and sins are part of us, stitched into our soul.” Jeremiah the prophet wrote, “The heart is deceitful above all things, and desperately wicked, who can know it? I the LORD search the heart, I try the reins, even to give every man according to his ways, and according to the fruit of his doings.” (Jeremiah 17:9-10). When I was at the Parliament, there were many experimental exercises in Interfaith worship. Exercises that I as a former Buddhist knew intimately and now as a follower of Yeshua Ha’Moshiach (Jesus Christ) could not embrace. I witnessed persons from other faiths who chose not to be involved as well because of their religious convictions. They were respectful, but they also were in a temporary venue which had established certain ground rules. Unfortunately, even then participants were encouraged to sign “The Declaration of a Global Ethic” which read that “we embrace the practices of all the world’s religions.” From my extensive past experience of all sorts of religious practices, I could not sign it as a follower of Yeshua Ha’Moshiach. All ground is not holy ground. When a Tibetan Buddhist builds a sand mandala, they conduct rituals to bind demons from entering them and subjugate all other gods under their dominion. It is a religious portal, a palace, home to 722 deities depending on the type of mandala. Deities we would call fallen angels. In the dissolution ceremony the sand that is given to others carries with it the incantations of the Lamas. In the past, the sand mandalas were constructed with the blood of human sacrifices. According to John Huntington from Ohio State University and curator of the Himalayan Art Collection, “the most efficacious skull used in the mandalas were the skull of a sixteen year old virgin.” These are not my opinions, but are based upon interviews with Lamas at Pacific Asia Museum who construct the mandalas and from extensive reading of Buddhist documents as well. To the public the mandalas are intriguing works of art. Is what I say true? As a watchman, someone who has knowledge of various practices, it is my duty to warn others, especially leaders, lest the blood be on my own hands (Ezekiel 33). I do not want to displease Hashem in anyway. Tibetans are often cheerful and amiable people. I have hosted Tibetan Christians in our home and have also been asked by Tibetan Buddhists for the Scriptures and even went as far as I delivering a copy to Kopan Gompa, a Tibetan Buddhist temple outside of Kathmandu, Nepal. You were quoted as saying that you wanted to create, “neutral ground in which to work on interfaith connections and collaboration between Jews, Christians, Muslims and others without any limitation or ground rules.” That sounds like a prescription for a dangerous fall. One must ask oneself, “What am I seeking to accomplish when I assimilate other religion’s practices into my daily life?” While God has given man free will, Is it just to take others on your own personal quest? It is certain that teachers bear greater judgment. The most important question to be answered is “What does the LORD require of me? “To act justly and to love mercy and to walk humbly with your God” (Micah 6:8; Jeremiah 7:5-7; Leviticus 19:33-34). You were quoted as saying, “Let people model it in their own houses of worship.” My question is, “Why bring into one place every religious practice and belief?” The LORD said, “When you enter the land the LORD your God is giving you, be very careful not to imitate the detestable customs of the nations living there” (Deuteronomy 18:9). King Solomon said, “There is a way which seems right to a man, but its end is death.” Even then, being the wisest man on earth, did he not fall because he took on so many wives and accommodated their religious practices, building high places and idols for each of them to practice their faith? It may be that it is time to remember what Moses was given by Adonai on Mount Sinai, the original gathering place lest we replace Him with our own modern day version of the Golden Calf. “For they went and served other gods and worshipped them, gods that they did not know and that He had not given to them. And the LORD uprooted them from their land in anger, in wrath, and in great indignation, and cast them into another land, as it is this day.” (Deuteronomy 29:26). “Cursed is the one who makes a carved or molded image, an abomination to the LORD, the work of the hands of a craftsman, and set it up in secret. And all the people shall say, Amen.” (Deuteronomy 27:15). “And if you faithfully obey the voice of the Lord your God, being careful to do all his commandments that I command you today, the Lord your God will set you high above all the nations of the earth. 2 And all these blessings shall come upon you and overtake you, if you obey the voice of the Lord your God” (Deuteronomy 28:1-2). 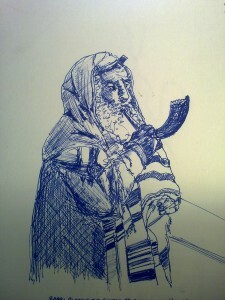 During battle the shofar is blown to announce the approach of an enemy (Jer4:5). It is blown by a watchman to warn the populace (Isa18:3; Jeremiah 6:17). On Tuesday morning, July 12 at 11:41 AM the shofar was sounded by gatekeepers on the West Coast and from the Northern Gate. Yesterday, I was reading about the tragedy of Troy. Tragically, their leaders dismissed the prophetic warnings, believing it was a “peace offering” to their gods. Our history books inform us that the great fortress of Troy was never the same. They even went so far as to take down their main gate to make room for the “peace offering.” They opened the gates. There were watchman, gatekeepers, and whistleblowers. Were they listened to? Tragically, no. I recall speaking with Gideon, a Christian student leader in Hong Kong in 1995 shortly before the Hong Kong Handover and asked him if he feared increased persecution of his Christian faith. His answer was surprising and yet has instructed me over time as an American. He said, “No. I don’t fear persecution. It is a sign of a healthy church. What I fear more is materialism and its effect on the life of the Body of Christ.” Greed and pride have an awful pricetag and have exacted heavy tolls on many civilizations and passing empires. John Owen warned, “It is a dangerous thing to live in the times of declining churches when they are hastening unto their fatal period in judgments.” We are all vulnerable to the leaven of apostasy. It is tragic as well that the Historic Synagogue in Washington, DC joined together in hosting world reknown teachers on the Kalachakra Tantra ritual being conducted in Washington, DC by the Dalai Lama. Where are the Torah observant Jews? Where is the outcry from Evangelical and Jewish leaders who should be outraged? But, we are on vacation. Attacks take no vacation. Constant vigilance is necessary to protect our liberties and our loved ones. Those signs of desolating judgments in our own nation are now readily apparent to those who have eyes to see and ears to hear. Environmental crisis from oil spills in the Gulf and rivers of Montana, to devastating tornados in Alabama, to the flooding of the Mississippi and Missouri, to the fires and droughts in Texas. These crisis, like the impending debt crisis will not be solved by clever manipulation of markets and budgets and raising our debt ceiling. Our problem as a nation is a spiritual one. While not rejoicing in the tragedies that have befallen our nation for which we mourn, I for one am grateful we are being forced by our crisis to face the music and pray that the severe chastening that is falling upon our nation will eventually lead to repentance and reformation. So, don’t give up hope during these days of despair and shadow. There is a light that beckons, follow Me. His way is perfect, His lamp illumines the path. Take a step each day and don’t look back except to mine the lessons that are fit to shape your glorious destiny ahead. Look upon adversity as opportunity in workclothes. And as our Master Yeshua reminded us. My paraphrase, “Don’t be anxious for what you wear and what you eat. Just rest in My loving arms. Do whatever work you can find today. Don’t fret. Take time out and look at the lilies of the Valley, the flowers and beauty that surround you. Look at the birds of the air. Your Father in heaven feeds them daily. And you. Although He loves the birds very much, you are much more important to Him. He’ll take care of you. Cast your cares upon His shoulders. They are broad. He can take care of you. Don’t be anxious about tommorrow. Do you have food for today? Someone who loves you? I do. All we really have is this moment. Do what you can. When the cooling wind comes. Remember, I sent it to give you rest. When trials come, I sent them to help you grow. When tragedy strikes like the little boy’s senseless and brutal murder in New York, I mourn with you. I lost My Son as well. You may weep on My shoulder. I hear your cry and save your tears. I feel your grief. I see the despair. Comfort one another. Righteousness will triumph over evil. There will be joy in the morning.